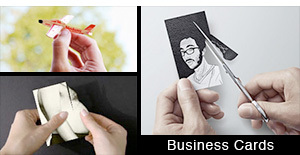 Eye-catching rings designed for people who love to wear creative jewelry. 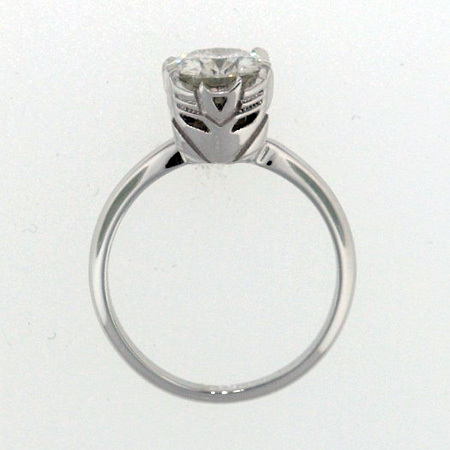 Stylish rings for engagements, weddings, parties, and fashion shows. 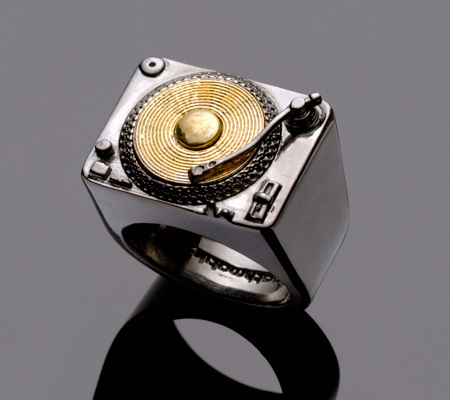 Modern ring with gold plated spinning record designed by Mathmatiks. 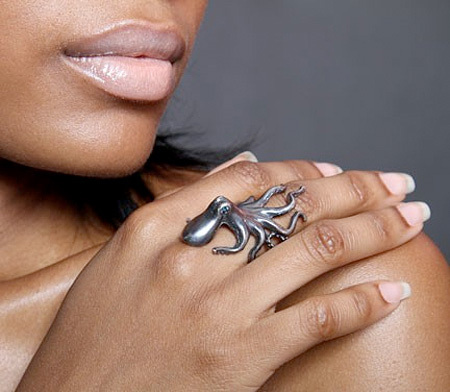 Creative ring handmade by Fleatherfox looks like a miniature octopus. 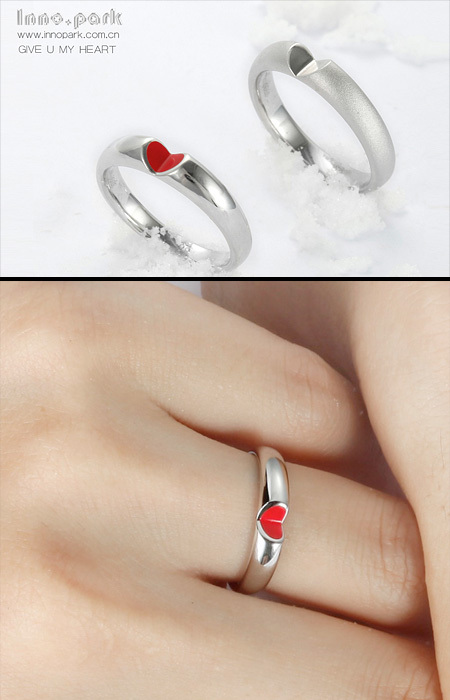 Stylish and elegant “I Give You My Heart” ring designed by Inno Park. 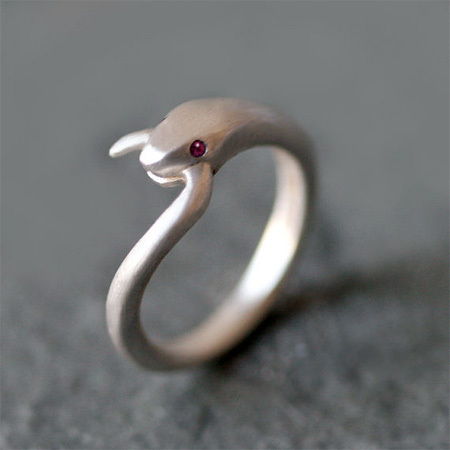 Clever ring made by Michelle Chang looks like a snake eating its own tail. 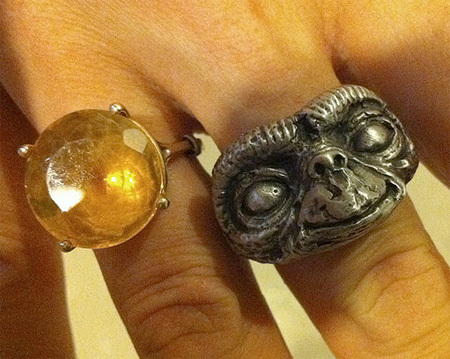 Cool ring made by Shannon Larratt for a fan of E.T. 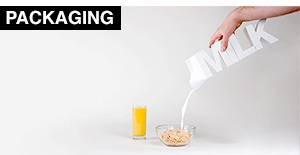 the Extra-Terrestrial. 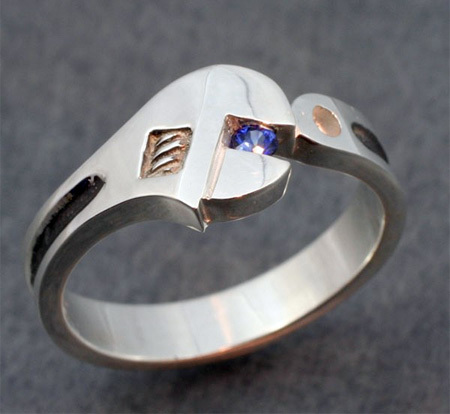 Creative wedding ring designed by custom jewelry maker BandScapes. 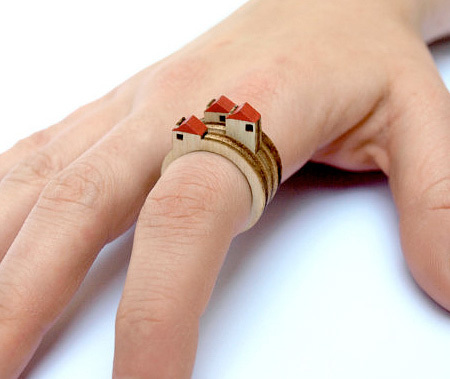 Laser-cut wooden rings with miniature houses designed by Clive Roddy. 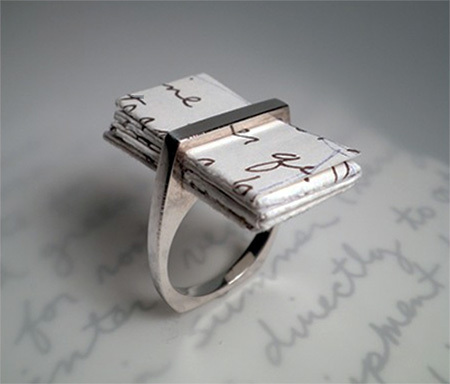 Creative ring designed by One Origin Jewelry holds folded love letter. 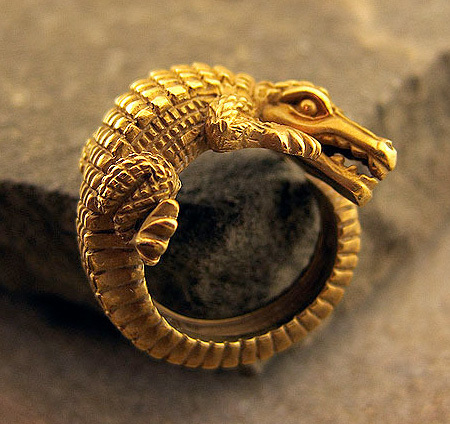 Beautiful crocodile ring wraps around your finger. 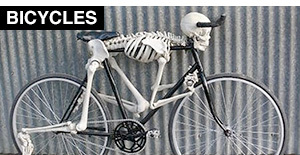 Made out of 18k gold. 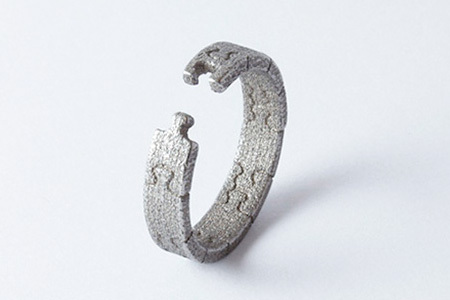 Beautiful and creative missing puzzle ring designed by Marina Noronha. 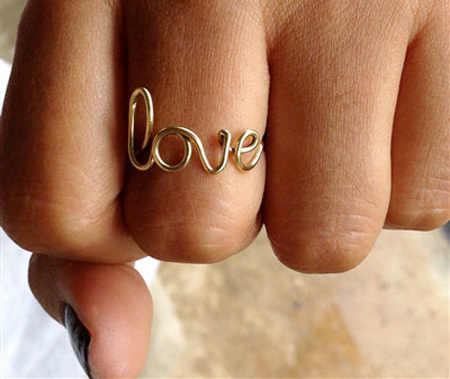 Unusual ring designed and handmade with “love” by Chloe Clayborn. 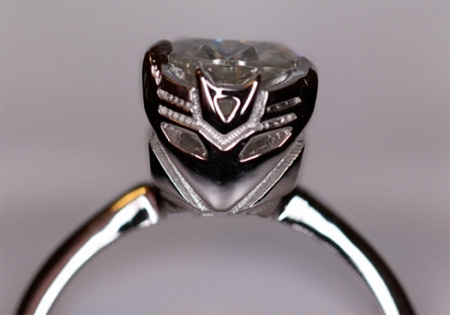 Beautiful engagement ring designed by Gary and Jason Gipson looks like the iconic logo of the Decepticons from Transformers. 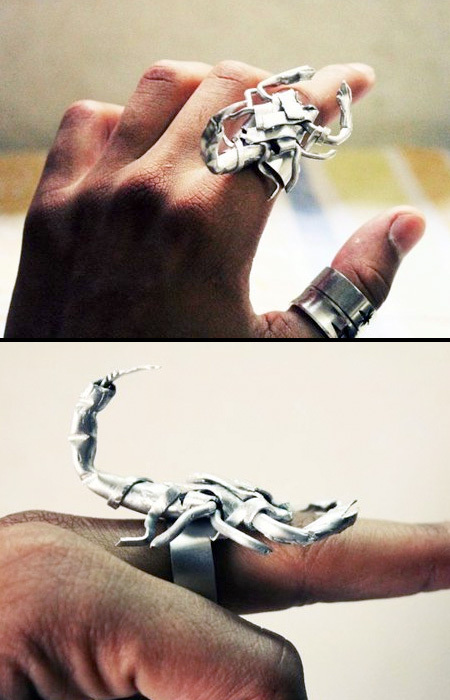 Handmade ring made by Sachin Samson out of metal sheets and wires. 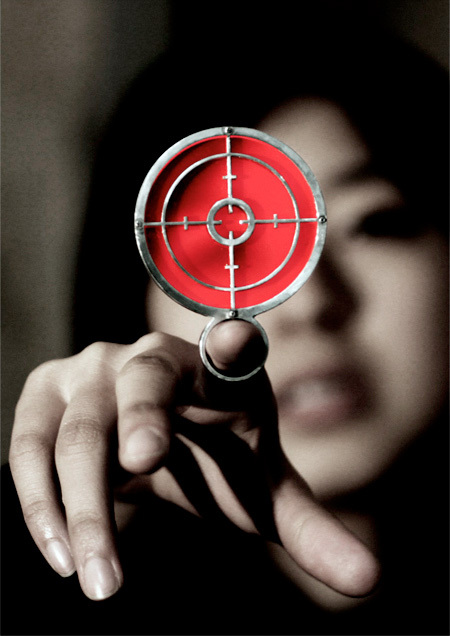 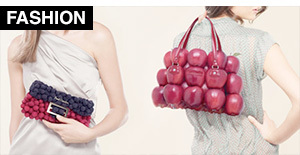 Unique ring designed by Joji Kojima for girls who want to get noticed. 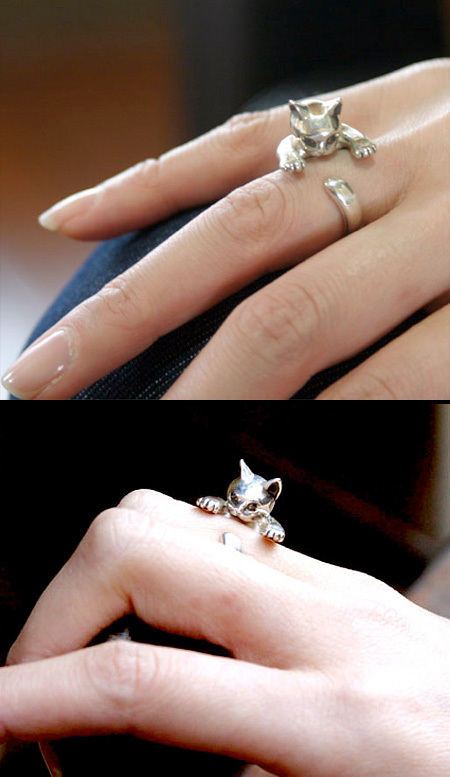 The Love Letter and the Cat Ring are brilliant! 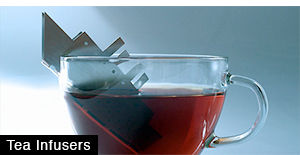 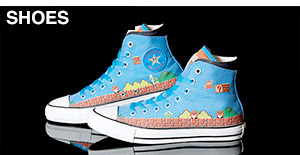 Most of these look like their market niche is preteen girls but some are almost adult.